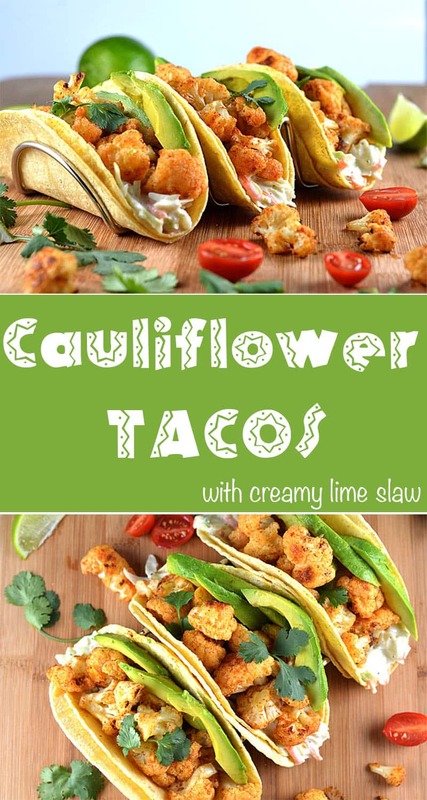 I have been wanting to do this recipe for Cauliflower Tacos with Creamy Lime Slaw for awhile now. 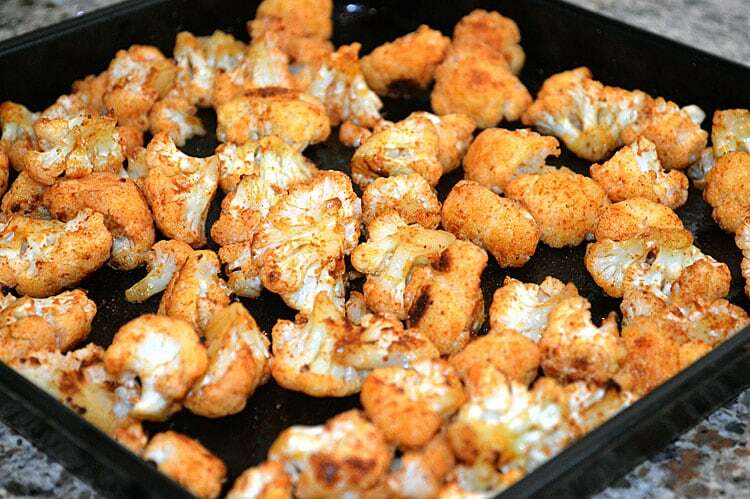 After much consideration, I opted to try roasting the cauliflower tossed simply with a bit of olive oil and taco seasoning and it turned out great! As a base for the taco, I built upon one of my most popular recipes to date…Vegan Coleslaw. To this recipe, I added a squeeze of fresh lime. 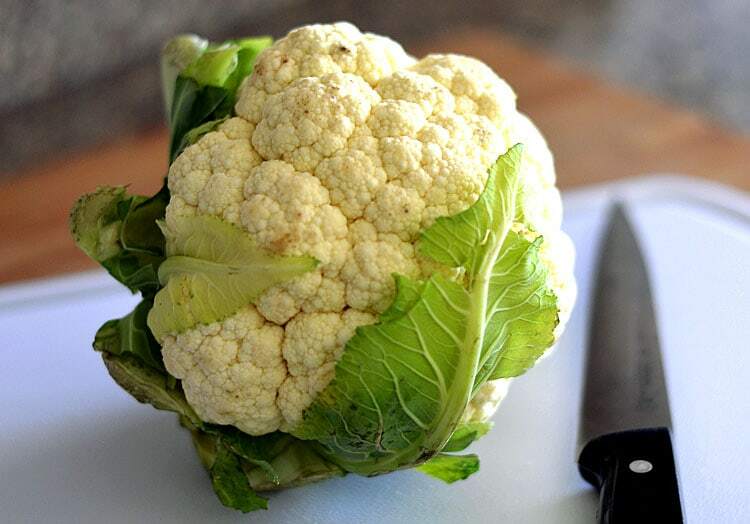 To begin, I trimmed up a head of cauliflower and cut it into small florets. Simply drizzle with olive oil and a generous sprinkle of taco seasoning. Toss well to combine. Roast at 375 degrees until tender. Depending on the size of the florets, the amount of time required will vary. Mine took approximately 20 minutes. I’ll include the entire recipe for the slaw below. 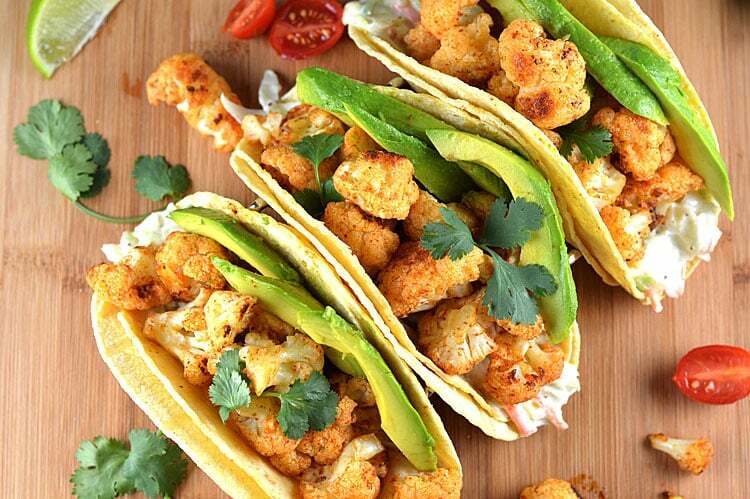 I spooned some into corn tortillas, topped with the roasted cauliflower and a few slices of avocado. Season with a bit of salt, if desired and garnish with cilantro (or parsley if you prefer). 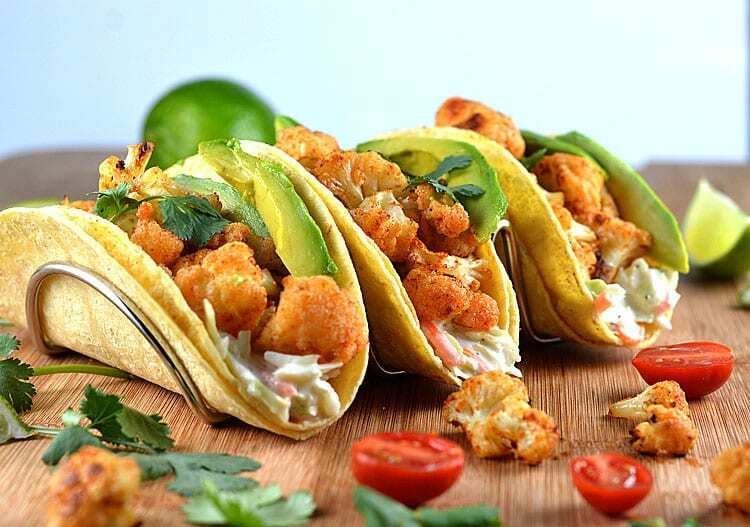 The contrast of the cool coleslaw and the warm, spicy cauliflower with the creamy avocado is just amazing. Combine the shredded cabbages and carrot together (or you can just use a pre-packaged coleslaw mix) in a large bowl. In a separate bowl, whisk together the vegan mayonnaise, vegan sour cream, onion, sugar, vinegar, mustard powder, celery seed, salt and pepper. Add to the cabbage mixture with a squeeze of fresh lime juice. Mix well to combine. Taste for seasoning, adding more salt or pepper if necessary. Allow to sit for at least an hour or so before serving. It's even better the next day! Trim the cauliflower and cut into bite-sized florets. Drizzle with olive oil and toss with taco seasoning. Place onto a cookie sheet and bake at 375 degrees for 20 minutes or until tender. Toss once or twice during the baking process for even doneness. Serve while the cauliflower is warm. Add avocado, cilantro and a sprinkle of salt. This looks so good! 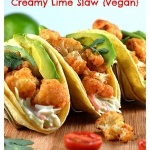 My husband is vegetarian, so this gives me a great dinner idea. Thanks!